We offer free shipping and free local delivery on orders over $35. Orders placed by 2:00 pm EST usually ship the same day. 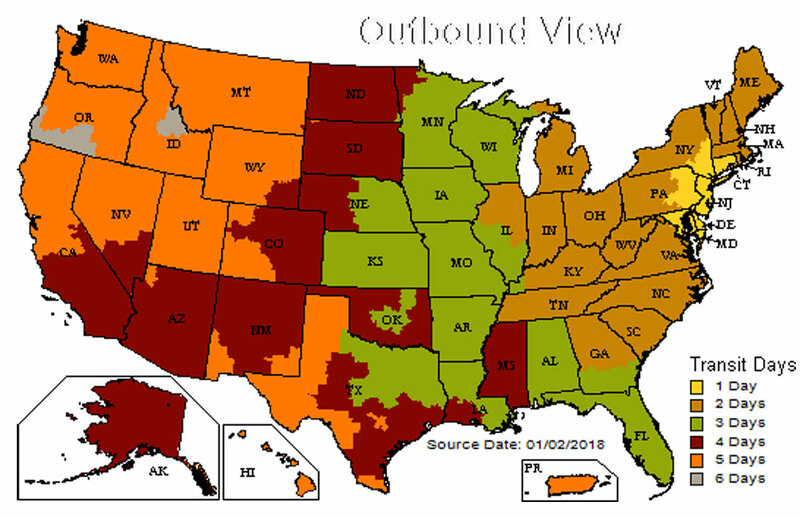 This map shows transit times for UPS ground transit times. Note the next day delivery options in the tri state area. We ship from our store at 233 2nd St. Lakewood NJ 08701. This map shows transit times for U.S.P.S. 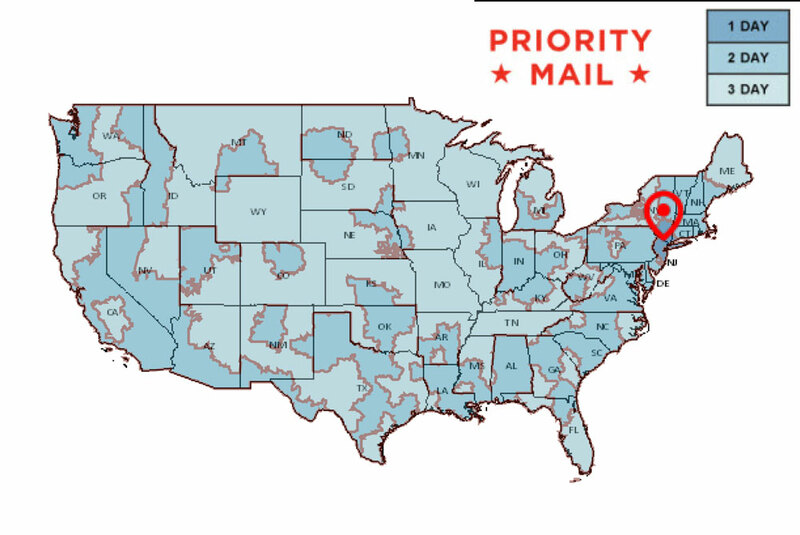 Priority mail in the U.S.. Transit times for U.S.P.S First Class average three to five business days. Transit times do not include weekends or postal holidays. For example, if we ship your order on Friday to Los Angeles, CA ( three business days), you should get it on Wednesday. We ship from our store at 233 2nd St. Lakewood NJ 08701. Transit times for Priority Mail and First Class are not guaranteed.